Hearing aids come with many misconceptions. Fear and lack of knowledge prevent many people from getting the hearing help they need. But the truth is hearing aids are a common and effective treatment for hearing loss, and wearing them can be much less scary than you think. If you are a candidate for hearing aids, make sure you get all the facts and keep an open mind. According to the American Speech-Language-Hearing Association, fewer than 25 percent of people who could benefit from hearing aids get them, which means there are quite a few people who have an opportunity to improve their hearing. The National Institute on Deafness and Other Communication Disorders estimates that 17 percent of American adults, 36 million people, report some degree of hearing loss. Hearing devices improve the lives of millions of people with hearing loss around the world, so we want to debunk some common myths around these marvels of technology. 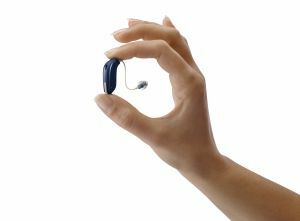 Today's hearing aids come in many sizes and styles, many of which are designed to be sleek and discreet. They range from the smallest in-the-ear (ITE) models that are tucked inside the ear canal to behind-the-ear (BTE) models which are versatile and easy to use. All of the major hearing aid manufacturers strive to make their products as small as possible. Whatever your preference, whether that be discretion or ease of use, there is a hearing aid suited for you. Chances are if you’ve noticed your hearing loss, it’s already much worse than you realize. Most hearing losses are due to either natural aging or noise exposure over many years, and they almost always affect both ears. Your brain is wired to hear best with both ears sending it sound signals. If you needed glasses, you wouldn't order them with just one corrective lens, would you? When you have your hearing tested, your hearing care provider can tell you if your hearing loss affects just one ear or both. If you have hearing loss in both ears, they will likely recommend a pair of hearing aids since a binaural fitting will provide the most benefit. Hearing loss can occur at all stages of life, and even some infants and young children wear hearing aids. We live in a noisy world, and that has caused Americans to begin losing their hearing at younger ages than in the past. Loud music served up with earbuds even threatens the hearing of young adults who spend a lot of time connected to their technology. It's time the stigma of hearing aids being only for the elderly was put to bed. Because today's hearing aid wearers are younger than in the past, hearing aids themselves are made to appeal to them. Sleek designs, discreet operation and the ability to integrate with smartphones, computers and televisions make these devices suitable and attractive to young and old alike. The internet might seem like a quick and inexpensive solution, but the truth is that buying hearing aids without consulting a hearing health practitioner could be costly in the long run. The shape of your ears, as well as the configuration and degree of your hearing loss, is completely unique to you. Just as you are unique, so too should your hearing solution be. Only a hearing care professional can select the best products to fit your loss and your lifestyle and properly fit them make sure they are working at optimum capacity. The time and effort of properly fit hearing aids are worth far more than the short-term discount you might find buying online. Everyone’s hearing loss is different. And, even two people who have a similar hearing loss could have very different results with hearing aids because there are so many variables involved. Even though hearing aids might not have worked for someone you know doesn’t mean they won’t work for you. Most hearing healthcare providers sell hearing aids with a trial period in which you can "test drive" the devices to be sure they are working for you. Take advantage of this wonderful opportunity to see for yourself if hearing aids can improve your life. Hearing help doesn't need to be complicated or overwhelming. Taking the first step is often the most challenging part of the process. If you think you are ready to change your hearing health and improve your quality of life, don't hesitate.